We no longer wish to be 'wired for sound'. 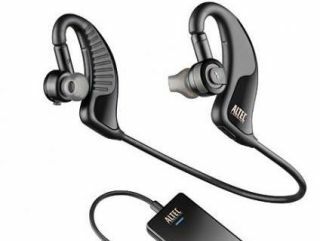 Now, with the launch of Altec Lansing's new BackBeat Bluetooth headphones, we don't have to be. TechRadar cannot wait to try out some of these new wireless stereo heaphones, which are manufactured in partnership with earpiece specialists Plantronics. For phone-calling purposes, they pack in all the features you would want such as: integrated voice dialing, omnidirectional microphones, over 7 hours talk time, and AudioIQ so you can pop up the volume to hear your caller when you are in a nightclub or at a loud rock concert. (Or, of course, you could just turn your phone off and enjoy the music! And when you are not yakking away on the moby, you can enjoy your music wirelessy in high quality via the tune-channeling, canal-sealing buds. The BackBeat Bluetooth headphones also feature support for A2DP, AVRCP, HSP v1.1 and HFPv1.5. The pricing is set at $100 in the US (or $130 for the BackBeat 906 which includes a small transmitter to enable iPhone compatibility).